Music, misogyny and Mozart – Opera North’s revival of Cosi Fan Tutte had it all. 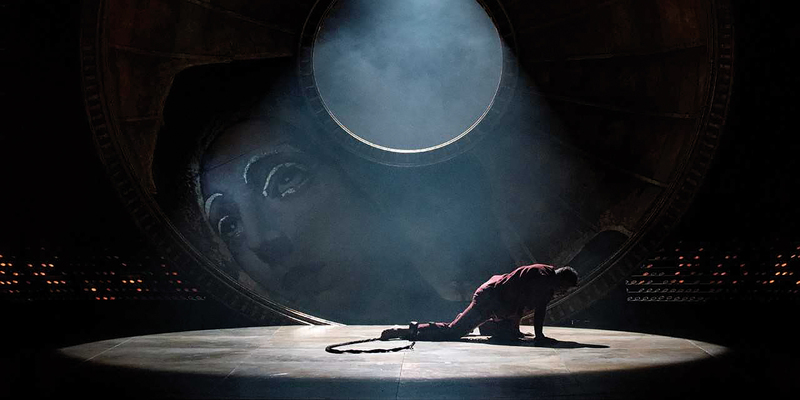 The tremendous talent of the leads and the accessible English language production was matched only by the intriguing and intricate staging that mirrored the Avant Garde nature of the opera’s storyline. The plot centres around an experiment devised by Don Alfonso (William Dazeley) to show his two friends Ferrando (Nicholas Watts) and Gugliegmo (Gavan Ring) that all women are the same: unfaithful, flighty and weak. He does this by using their beloveds as lab rats. Don Alfonso began the opera with an effortlessly skilled gesture and at once the orchestra powerfully leapt into motion bringing Mozart’s music to life. The stage featured a large camera obscura at its heart, the front of which lifted off at the beginning of Act One to reveal the main set: the home of the two sisters, Dorabella (Helen Sherman) and Fiordiligi (Maire Flavin). This clever technique employed by Opera North, alluded to the time in which Cosi Fan Tutte was first written: The Age of Enlightenment. It was a time for experimentation and reasoning which are principles that Don Alfonso holds dear. The camera obscura continually reinforces the idea that Don Alfonso, the scientist-philosopher, was experimenting with his friends and the two women; the camera obscura was his ‘laboratory’: the sterile environment in which his experiment could take place. The two male leads, represent The Romantic School of Thought which stood in direct opposition to The Enlightenment Age. The men refuse to accept that Don Alfonso’s experiment will work, believing only in love and the beauty of their women, principles that cannot be quantified, principles that Don Alfonso cannot believe in. In the supporting role of Despina, Ellie Laugharne brought an expert singing range and excellent comedic timing to the opera, which at times can got lost in the now archaic themes of chauvinism and sexism. At the end of Act One all the lead singers were on the stage together and their voices harmonised powerfully with every voice chiming clearly, allowing the audience to experience the intensity of the moment from everyone’s perspective. Check Out That Album Artwork!